"Vaccinations represent a major assault on the body's immune system. Attentuated organisms or chemicalled killed viruses or bacteria are injected directly into the blood stream, an unnatural route of infection. This profound insult, avoiding the body's first line of defenses, and flooding the system with millions of organisms or viral particles, stresses the immune system in a way not of natures design. This insult causes irregularities and abnormalities in the immune system which then manifests as chronic diseases in animals." Substances such as respiratory discharges or diseased tissues are used. It sounds repulsive, but the preparation, using alcohol, as well as the repeated dilution and succussion, essentially renders the substances harmless, while producing a powerful remedy. The use of nosodes in a prophylactic manner, for preventing disease, has been employed in veterinary and human homeopathy for many years. It is supported by various holistic veterinarians and practicioners. Homeopathic Nosodes - Dr. Charles Loops D.V. 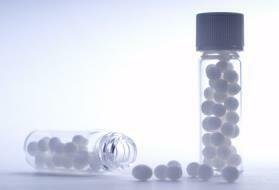 M.
Nosodes are homeopathic remedies that are made from the specific products of a particular disease. This can be tissue containing the actual disease agents or tissue affected by those agents. Sometimes nosodes are made from vaccines containing the organisms. The nosodes are prepared in a diluted and potentized form just like all other homeopathic medicine. There is no potential for an animal to become infected with a given disease agent from a nosode because of the pharmaceutical process that occurs which dilutes and inactivates any viable organisms. Nosodes seem to work most effectively, homeopathically, when they are given near or at the time of exposure. For instance, giving a Parvovirus Nosode immediately before and after a potential exposure would provide the best protection from the Nosode. Homeopathic nosodes can be used when your companion becomes at risk for a disease before three months of age, or if warranted, in unvaccinated animals to help protect against some contagious diseases. Many guardians use these homeopathic medicines to help protect their companions against Parvovirus, Distemper, and Kennel Cough in dogs and Panleukopenia and FIP in cats. Homeopathic medicines are "animal friendly" for several reasons. Because their action works across the mucous membranes of the mouth, it is not necessary to swallow the medicine. This makes it easier when dosing, since the mouth doesn't have to be opened and the remedy can be placed on the gum or inside the lip. The single dose powder is sweet tasting as it is in a lactose sugar base and the liquid remedies are diluted at home before giving, so that the alcohol taste is not a problem. Even cats generally do not mind taking their medicine. In fact, they often get excited when the bottle appears. By law, an animal must be vaccinated against rabies every three years. To protect your pet, you can request a homeopathic antidote to minimize the side effects of vaccine damage Some nosodes seem to work more effectively than others. None produce titers against disease like a vaccination but offer protection. Neither the vaccine nor a nosode is 100 percent effective. A lot depends on the animals immune system. Conventional vaccines prepared by modern vaccine manufacturers represent only one form of disease-specific prevention. Vaccines and preventive medicines are also available to parents in homeopathic form. There is a long history within homeopathic medicine of attempting to prevent specific diseases, especially during epidemics. 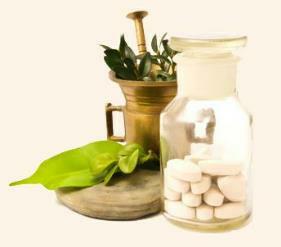 The medicines used in homeopathic form consist of two classes. One class includes those substances obtained from the natural world of plants, minerals, and animal products. The second class, called nosodes, includes substances derived from disease products, tissue samples, mucus, pus from discharges, or pure cultures of microorganisms. Nosodes correspond to the specific diseases associated with the individual bacteria or virus, or the infectious material sample taken from a patient. Both of these classes have been used to prevent disease. Examples of this include Lathyrus sativa (a plant) for polio and Pertussin (a preparation of the bacteria Bordetella pertussis) for whooping cough. A medicine that has proven effective for a specific epidemic of a disease in the community can be used as the preventive for other cases of that disease, though homeopaths tend to use those medicines that have proven themselves in the past. As a general rule, homeopaths utilize the nosode of the infectious organism to prevent disease. Nosodes are named with the Latin terms for the infection or organism, Morbillinum for measles, Diphtherinum for diphtheria. This method of homeopathic prophylaxis has been formulated into strategies and rules of two types - short-term prevention during epidemics and long-term prevention. Experience with the use of nosodes during epidemics has led to a level of confidence and optimism about the protective effect of this method. Since the mid-nineteenth century, homeopaths have attempted to prevent or limit the spread of disease during epidemics, with some success. Most of the experience with this approach occurred during the era preceding the availability of vaccines. Homeopaths reported a decrease in the severity and frequency of disease in those patients who received the nosode preventively. 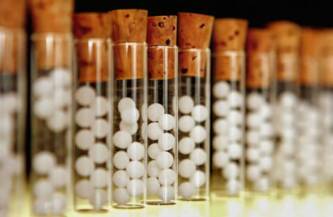 The method of homeopathic prophylaxis has never been rigorously tested. Nonetheless, there is some evidence suggesting that homeopathic medicines do act to prevent diseases during epidemics. One study observed the occurrence of meningitis in a group of children who received a homeopathic preventive (Meningococcinum 10c in a single dose) during a 1974 epidemic in Brazil. Of the 18,640 children given the homeopathic nosode, 4 developed meningitis (0.02 percent), compared to 32 cases in the 6,340 unvaccinated children (0.5 percent). This represents a significant difference in a controlled study, although the control group was not randomized (Castro and Nogueira, 1975). Eisfelder reported an uncontrolled study of 50,000 children who received Lathyrus, a homeopathic preparation used to treat paralysis, in varying potencies during the polio epidemic of the 1950s. Only one of these children developed (non-paralytic) polio. The general population had a significantly higher rate of polio than 1 in 50,000 (Eisfelder, 1961). These studies do not prove the effectiveness of homeopathic prophylaxis in epidemics, but many homeopathic practitioners have been convinced by their own experience with this form of disease prevention. The practice of using homeopathic preparations to prevent disease during epidemic exposure may be effective. The medicines cause no adverse effects, and, in the absence of any other form of prevention, there was no reason not to use them. In an epidemic of a serious disease their use is still warranted, though there are valid reasons to allow children to undergo the milder childhood occurrence of measles, mumps and chickenpox to acquire lifelong immunity. 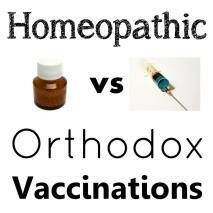 Alternative vaccines in homeopathic form are also available for long-term prevention. Several protocols exist for the administration of homeopathic nosodes or the corresponding remedies for the prevention of whooping cough, meningitis, diphtheria, tetanus, polio, and other diseases during childhood. There exists significant controversy within the homeopathic profession about the appropriateness of using these preparations for long-term prevention. This controversy involves the areas of effectiveness, safety, and ethics. No long-term studies have been conducted to evaluate the efficacy of this form of prevention. There is no reason to assume that these vaccines continue to act preventively years after administration, unless immunity is shown through an objective test or clinical studies. Homeopathic preparations have not been shown to raise antibody levels. Smits tested the titre of antibodies to diphtheria, polio and tetanus in ten children before and one month after giving homeopathic preparations of these three vaccines (DTPol 30K and 200K). He found no rise in antibody levels (Smits, 1995). He speculates that protection afforded by a homeopathic remedy acts on a "deeper" level than that of antibodies. Other homeopaths have stated similar opinions. Golden says, "unlike conventional vaccines, the Homoeopathic alternative does not rely on antibody formation." He postulates that "Homoeopathic remedies reduce the patient’s sensitivity to the dynamic stimulus of the virus or bacteria, thus lessening the patient’s predisposition to being overcome by this stimulus" (Golden, 1994). If homeopathic remedies do not produce an increase in antibody levels, then the only way to measure the effectiveness of homeopathic prophylaxis is through clinical results. This is a formidable undertaking. The cost of long-term studies using homeopathic prophylaxis would be prohibitive, given the present resources available. Ethical problems could also prevent such studies from occurring; it is doubtful that ethics committees would allow children to be deprived of the commonly administered and approved allopathic vaccines. Moskowitz has suggested that the sizable population of unvaccinated children whose parents have refused vaccines, could provide a control group to assess the long-term negative effects of vaccines (Moskowitz, 1985). Perhaps this population could also serve as a test group for homeopathic prophylaxis.